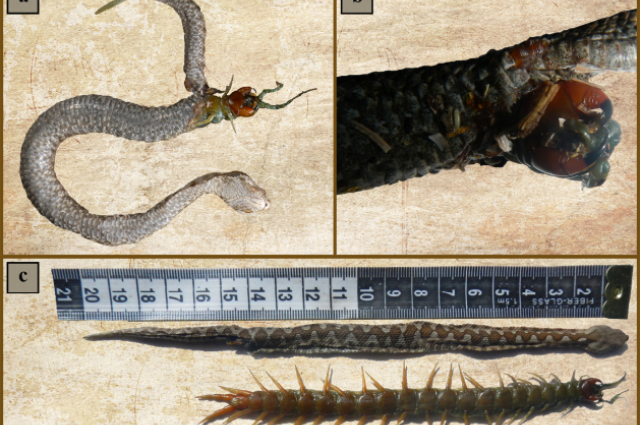 Researchers on Golem Grad Island, Macedonia, stumbled upon a rather intriguing and wholly disgusting find whilst looking for snakes - a dead young viper with the head of a huge centipede protruding through its body. What a way to go! The report has been briefly described in the journal Ecologica Montenegrina.